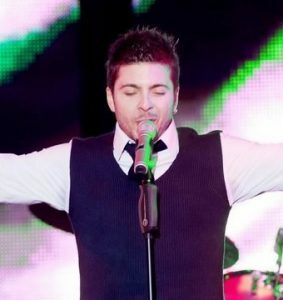 Photo: Todor “Toše” Proeski was a Macedonian multi-genre singer, songwriter and actor. Photo by Kristijan006 and accessed on Wikimedia Commons. Macedonia is a country located in the central Balkan peninsula in Southeast Europe. It is one of the successor states of the former Yugoslavia. Its population is composed primarily of ethnic Macedonians, Albanians and Turks. Macedonian represents 100 Macedonians from the Former Yugoslav Republic of Macedonia who were sampled in 2006 by the University of Skopje. Source publication: Population genetics of 15 AmpflSTR Identifiler loci in Macedonians and Macedonian Romani (Gypsy), FSI, 2007, p220-224.